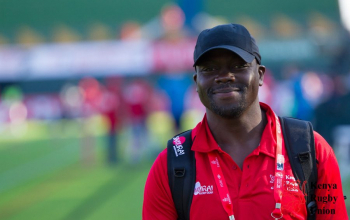 Homeboyz RFC coach Paul Murunga, aka Pau in rugby circles, was on Friday 5 October 2018 named the new Kenya 7s head coach by Kenya Rugby Union (KRU) ahead of 2018/19 HSBC World Sevens Series. KRU made the announcement after weeks of interviews and shortlisting with a board meeting held on Thursday at the Union's headquarters -RFUEA rubber-stamping his selection for the job. 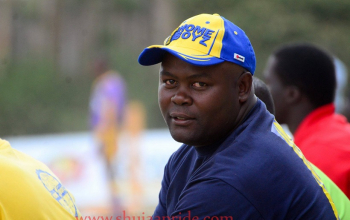 Mwamba RFC and Kenya Lionesses head coach Kevin Wambua is named his assistant taking over from William Webster with Geoffrey Kimani and Lameck Bogonko retained as strength and conditioning coach and physio respectively. Any changes to the position of Team Manager currently being held by Eric Ogweno, if any, will be addressed later. Current coach Innocent Simiyu will take charge of the team at Africa 7s on October 13 after which the new management will take over. The new Kenya 7s management will be handed contracts running for two years as announced by Kenya Rugby Union CEO Sylvia Kamau. Wambua will however take charge of both Kenya Lionesses and Kenya 7s at Dubai 7s according to Kamau "since the two teams play in different days." 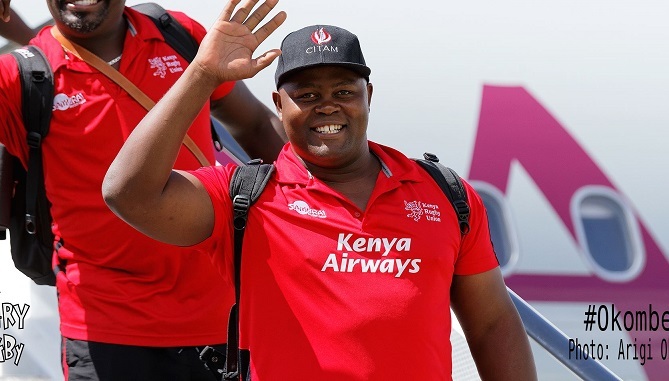 Murunga returns to the Kenya 7s helm for the second time. He was Benjamin Ayimba's assistant during the 2015/16 season. Together, they qualified Kenya for the summer Olympics and won Singapore 7s - Kenya's one and only trophy in the HSBC World Series. He takes over from Innocent Namcos Simiyu who coached Kenya 7s between 2016 and 2018. His contract expires on 17 October,2018. 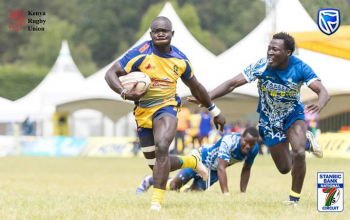 Murunga, a former Kenya junior coach best known for his keen scouting eye in fishing out raw talent, guided Homeboyz to national sevens title in 2018, two years after doing so when he led Homeboyz to all six finals in 2016. He recently attained Level 2 coaching certification alongside Kenya Cup winning coach Curtis Olago of KCB. Up to 12 coaches had applied for the Kenya sevens head coach role, seven of them foreigners and five locals. Raga House understands Zimbabwe-born Liam Middleton, Welshmen Nick Wackley and Richie Williams and Fijian Malik Chachibara are some of the non locals that were interviewed alongside Kevin Wambua of Mwamba.